A cough is often an accompanying symptom of seasonal allergies, common cold, and other ailments. You may experience a cough after suddenly coming in contact with smoke or other irritating substances. Hacking and persistent coughs lead to pain in the throat and its surrounding muscles. Such coughs cause a lot of discomfort when left untreated. You can use essential oils to relieve the pain and remedy respiratory ailments. 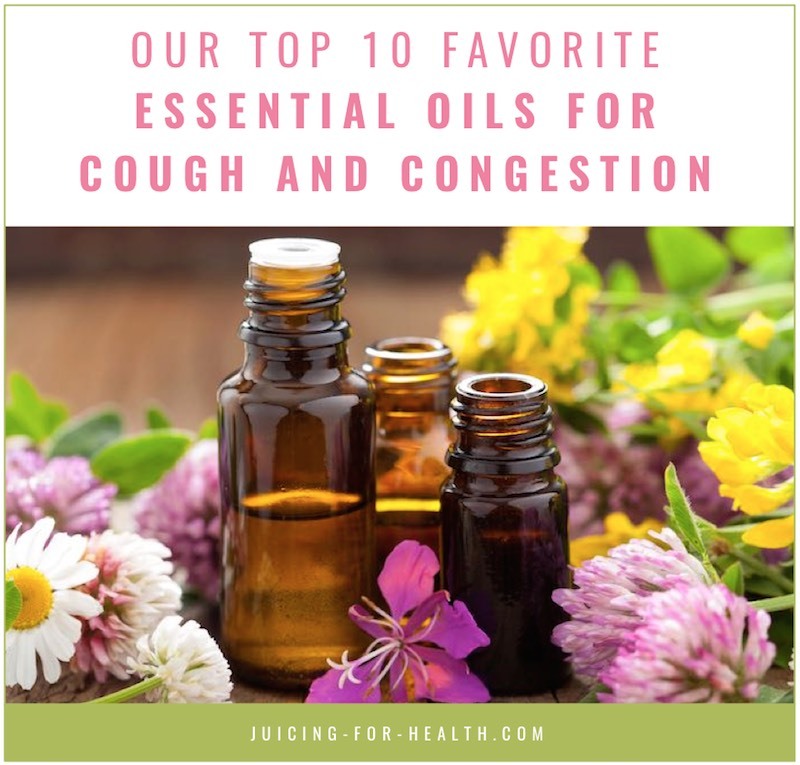 We will discuss below, our favorite top 10 essential oils that you can use, focusing on their uses for relieving your pulmonary system—whether it is for dry cough, damp cough, chest or nasal congestions, sore throat, common cold or sinusitis. Eucalyptus oil is a colorless oil with a strong, sweet and slightly woody aroma. Of all essential oils, Eucalyptus essential oil has shown to be most people’s favorite oils to use for a wide range of respiratory conditions. It is often used for relief of cough, congestion, common cold, flu and sore throat, thanks to its antiseptic, antimicrobial, antiviral, antibacterial and antifungal properties. Eucalyptus oil works well as a remedy for the respiratory system as it effectively breaks up mucus in the lungs and reduces inflammation caused by infections. Use a few drops of Eucalyptus oil in steam inhalation to help ease up nasal or chest congestion. Do not swallow Eucalyptus oil in large quantities. Avoid using Eucalyptus oil in any form, on toddlers and children under 6 years old. Practice caution when using this oil on older children. Oregano essential oil is a must-have in your arsenal of natural healing tools as it has many uses. In the case of relieving cough and congestion, Oregano oil is a powerful natural antibiotic, an antimicrobial that helps to fight off infections. It is powerful even for killing the Staphylococcus aureus bacterial strains responsible for many upper respiratory infections. Oregano oil has anti-inflammatory action that helps to relieve congestions of the nasal tract, sinuses, and the lungs. It provides quick relief from bronchitis and coughing. The unique ability of oregano oil in relieving croup—inflammation of the larynx and trachea in children that cause breathing difficulties—makes it an important oil to have in the house if you have children. With Oregano oil, you can comfortably know that it can help relieve any respiratory disorders, whatever the cause. Oregano essential oil may interfere with your pharmaceutical medications, therefore, always ask your doctor before taking it internally. It may be helpful to combine Oregano oil with olive oil in capsules when taking it internally to avoid burning the throat. Stop using the oil immediately, if it causes you nausea, dizziness or an allergic reaction. Frankincense oil is one of the first essential oils that beginners would go for, for its cancer-fighting ability. It is used for strengthening the immune system and for treating many health conditions. Frankincense oil has powerful antiseptic properties that can kill infections effectively. Add 4-6 drops of the oil for steam inhalation to reduce congestion of the nasal tract, bronchi or lungs. It helps break up mucus or phlegm, and also acts as an anti-inflammatory for relieving asthmatic or wheezing attacks. It would be wise to follow the general essential oil safety when using Frankincense oil. Ingesting just a few drops of the oil at a time may not cause any problem. Practice caution in using Frankincense oil if you have a blood-clotting condition. Like Oregano essential oil, Thyme oil is powerful for fighting superbugs such as the Methicillin-Resistant Staphyloccoccus Aureus (MRSA). Thyme oil is often used for relieving congestion, killing an infection, or fighting off a respiratory condition. It works well when you have a cold, flu or just feeling under the weather. To ease a sore throat, add 2 drops of Thyme oil to water and gargle with it. To fight an illness, put a few drops in your diffuser or use the oil in steam inhalation. Ingesting Thyme essential oil may upset the stomach for some people. If this happens to you, stop using. Thyme essential oil may act as an estrogen in the body, so if you have a condition that may be affected by increased estrogen, avoid using. There is a reason why many cough lozenges have a menthol flavor. Peppermint is one of the best essential oils for a cough or sore throat as it contains menthol and has antibacterial and antiviral properties. Peppermint essential oil provides a soothing and cooling effect for immediate relief of a sore, scratchy throat, while breaking up phlegm to ease congestion. Add 3-4 drops of the oil to your healthy beverage, or simply just in a glass of water to enjoy its benefits. Use peppermint oil with a carrier oil to make a chest rub. Inhaling diffused peppermint oil helps to unclog your sinuses, opens up airways, relieves symptoms of flu, asthma, bronchitis and other respiratory conditions. 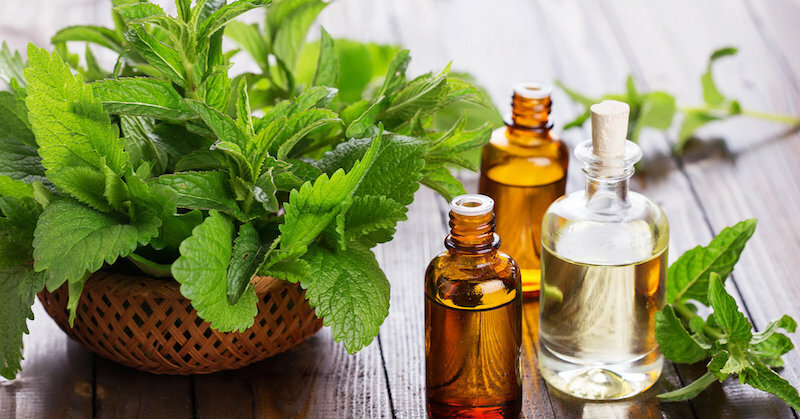 Peppermint oil is generally safe to be taken internally in small amounts. Practice caution if you have a history of heartburn, have ulcers or mouth sores—peppermint oil may irritate. Tea Tree essential oil is antiseptic and has antimicrobial, antiviral, antifungal, and expectorant properties. It is used to strengthen the immune system, and to fight a bacterial or viral infection. Simply diffuse 4-6 drops of Tea Tree oil, and inhale the aroma to ease symptoms of a cough or common cold. It also treats underlying infections and clears bronchial congestion. Combine 1-2 drops of Tea Tree oil with a carrier oil and rub it onto your chest to ease congestion. Tea Tree oil is generally considered safe to be used aromatically and topically. However, it may irritate if you have sensitive skin. Lavender essential oil is highly valued for its fragrance that calms and relaxes the body for alleviating insomnia, anxiety and stress. Particularly important, is Lavender oil’s potent antiseptic properties for fighting respiratory problems such as cough, cold, throat infections, asthma, bronchitis and congestion of the nasal tract and sinuses. Some people may develop an allergic reaction to Lavender essential oil. If you experience any reaction such as nausea, dizziness or headache, stop using immediately. Lemon essential oil (a.k.a. Citrus Limon) is extracted from lemon peels that is powerful, thanks to a phytochemical called limonene. Like the lemon fruit, Lemon oil has an outstanding nutrient profile that treats numerous health conditions. It stimulates the production of white blood cells to fight respiratory infections such as throat infections, bronchitis or coughs. Add 2-3 drops of Lemon oil to your tea or a glass of warm water, drink to strengthen your immune system, and relieve a sore throat. Lemon oil is generally considered safe, and may be ingested even for children in small amounts. Rosemary is one of the most powerful herbs that has a very high ORAC value of 11,070, with excellent free-radical fighting properties for boosting the immune system. Rosemary essential oil is often used for relieving respiratory disorders, including sinus infections, asthma, whooping coughs, and bronchitis. Apply 2-3 drops of Rosemary essential oil with a carrier oil, to the bottom of your feet for a good night’s sleep that is free of congestion. Rosemary is so potent that it must be used only in small amounts. When used excessively, it may cause nausea. Avoid using Rosemary essential oil whether topically or diffused, around kids under the age of six. The Cypress essential oil is highly valued for its ability to fight infections of the respiratory system and for removing toxins from the body. It is known for its antiseptic, antibacterial and antispasmodic properties, among its many medicinal virtues. A study found that Cypress essential oil possesses antimicrobial properties that inhibited the growth of bacteria. This makes the oil useful for killing infections. Dilute 2-3 drops of Cypress oil with a carrier oil, such as coconut or jojoba oil, and apply the mixture to your chest to ease chest congestion. Do not ingest Cypress essential oil. Avoid use during pregnancy, nor use it on young children. With all the essential oils as discussed above, you should also know the effective ways to apply them so as to relieve your cough and associated symptoms. 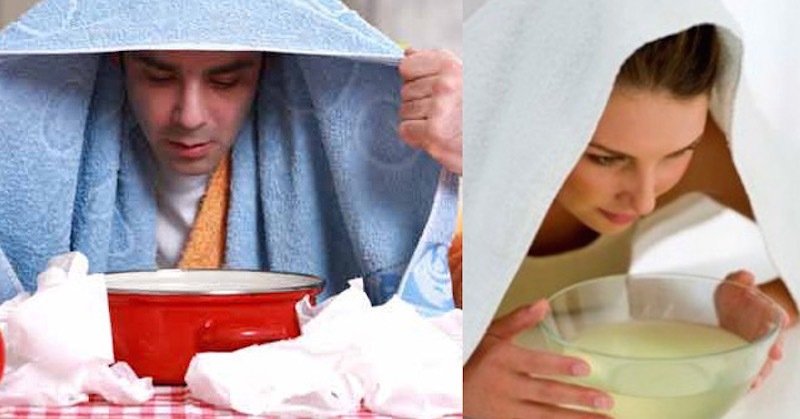 Steam inhalation is a method where you allow the essential oil’s vapors to break down excessive mucus and phlegm, for clearing the airways. Add a few drops of essential oils to hot water in a bowl or a small pot. Ensure that it’s steaming but not boiling. Lower your face over the bowl and use a towel, draping it over the back of your head and covering the sides of the bowl to trap the steam. Close your eyes and deeply inhale for several minutes for relief. Adding a few drops of essential oils in a diffuser can bring great relief to your symptoms. A diffuser breaks down the essential oils added into tiny molecules that spread into the air. The process is faster and more effective when using a high quality diffuser. The essential oils release natural ozone as they break down, which improves the quality of air in the room. The tiny molecules remain in the air for hours depending on quality of the diffuser, how long you diffuse, and air quality. Diffusing essential oils in the air can relieve sinus infections, congestions, flus, and colds. Diffusing in the bedroom at night is particularly helpful for a good night’s sleep when you can breathe normally without congestion. When oil is administered on the bottom of the feet, there are lower risks of skin irritation and sensitivities. “Hotter” essential oils such as Oregano and Thyme oil, don’t need to be diluted. And, as they’re applied undiluted, the oils can be detected in every cell of your body within 20 minutes! Use 2-3 drops of essential oils on each foot, massage it into the top third of the sole at night before you go to bed. Feel better in the morning! Essential oil-based throat lozenges can relieve coughs. Keep one or two peppermint lozenges between your cheek and back teeth so that its juice drips down the back of your throat. 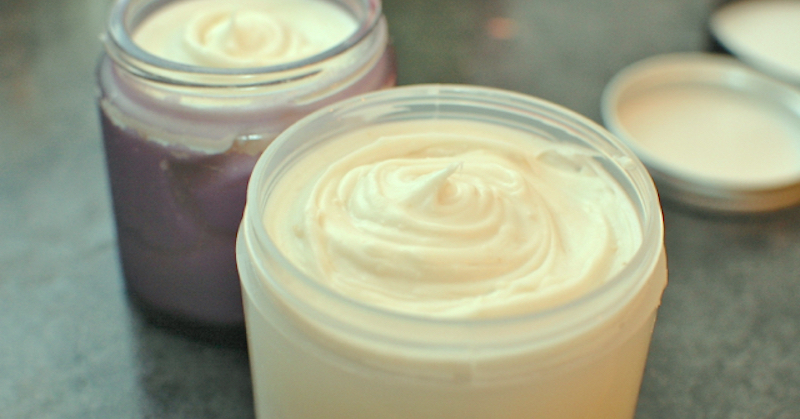 Prepare a balm by mixing into one tablespoon of unrefined, organic coconut oil: 5 drops of Lavender oil, 2 drops of Thyme oil and 8 drops of Eucalyptus oil. Rub one teaspoonful of the balm on your chest before going to bed. This essential oil balm relieves coughs and congestions, allowing you to sleep well and breathe easily. Thyme has antiviral properties while Eucalyptus relieves coughs and congestion effectively. Lavender has antiviral and antibacterial properties, and is known to produce a feeling of relaxation. Place 4 drops of Lavender oil and 6 drops of Eucalyptus oil on a fresh pack of purse-size tissue papers. Place the oil in different parts of the tissues and then pack them in a zip lock bag. Carry the tissues in your purse whenever you have a cold. Hold one tissue near your nose when your nose is congested, for relief. Inhaling the essential oil deeply relieves congestion. A mixture of Lemon and Eucalyptus essential oils relieves cough effectively. Mix three tablespoonfuls of honey with 2 drops of Lemon and 2 drops of Eucalyptus essential oils. Add one teaspoon of this mixture to warm water in a glass and sip slowly to soothe a scratchy throat. Essential oils for cough can be used to make a massage oil for relieving chest congestions. To one tablespoon of coconut oil, mix 3 drops of Tea Tree oil, 2 drops of Oregano oil, and 2 drops of Thyme oil. Use this massage oil to rub your back and chest twice a day. While an occasional sore throat may be a sign of a cold, chronic sore throats are a sign of a poor digestive system health. You can treat a sore throat by gargling a seasalt water solution, with a drop of Tea Tree oil and 2 drops of Lemon oil for an antibacterial gargle. Ensure that the droplets of both essential oils break by stirring the mixture vigorously. Sip a small amount of the mixture, gargle for 30 seconds and then spit. Gargle several times and keep stirring the mixture before each gargle. This treatment is effective when used every 4 hours. An alternative way of using essential oils to relieve a cold or cough is adding them to an Epsom salt hot bath. Here is how you take a salt bath. Just add 10 drops of tea tree or any essential oil of choice to your bath and enjoy. Essential oils can be used for children who are suffering from cough and congestion too. Practice caution when using on toddlers. One of the best ways to use essential oils for children’s cough or for relieving congestion, is to use a chest rub. You may use the essential oil recipe as given above, adding only half the amount of the oils as recommended. Consult your natural healer, if you are unsure about any essential oils. This article is shared with permission from our friends at newhealthadvisor.com.